Where are you, God? Can I trust you, God? These are questions many of us have asked when experiencing times of trial and suffering. 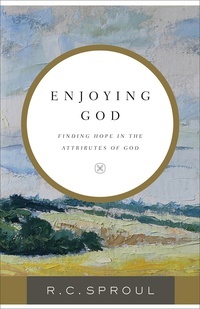 In Enjoying God: Finding Hope in the Attributes of God, the new edition of his classic book Discovering the God Who Is, Dr. R.C. Sproul gives a personal account of his search for such answers. Exploring the attributes of God, Dr. Sproul urges readers to seek the God is alive, who is real, and who love His people.